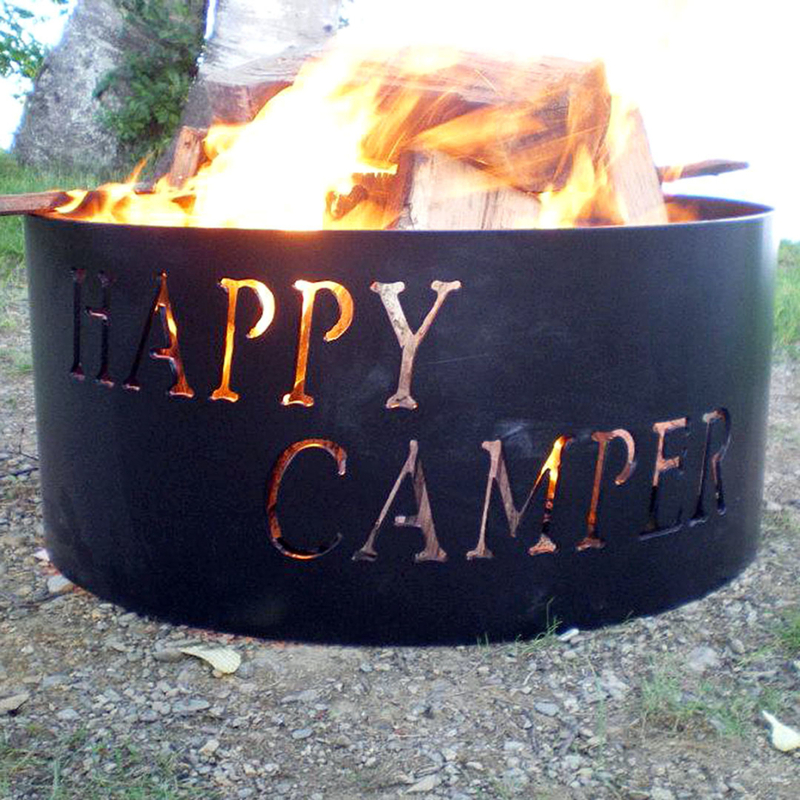 We design quality custom/personalized campfire rings with cooking accessory options. 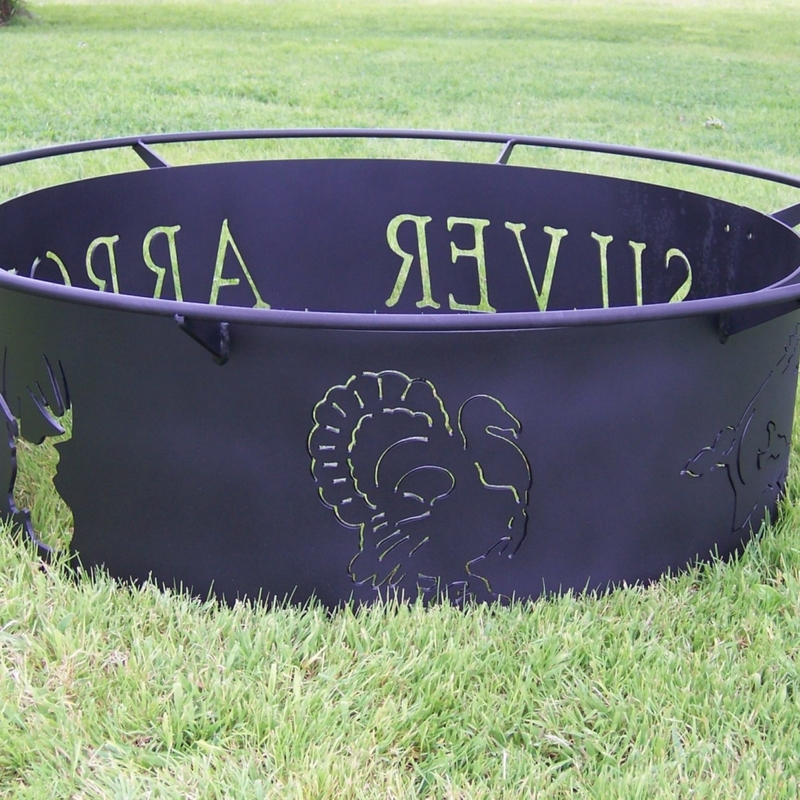 The cutout options can include your name, favorite saying combined with our graphic choices. We have different design options that allow you to opt for for just the ring, add a footrest or our Grand Daddy option which includes the footrest, bottom and legs. 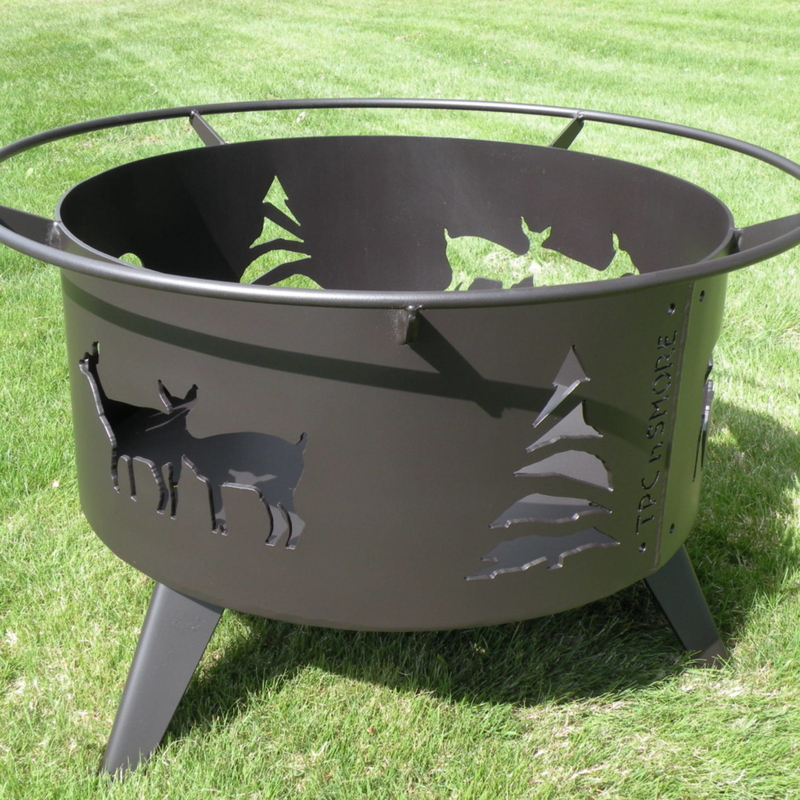 Our standard sizes are 26″ & 36″ diameter and 11 1/2″ tall but we can make them any size upon requests including square options. We pride ourselves with the construction of the rings as they are made of 3/16″ steel which is thicker steel than most and contribute to the life of longevity. 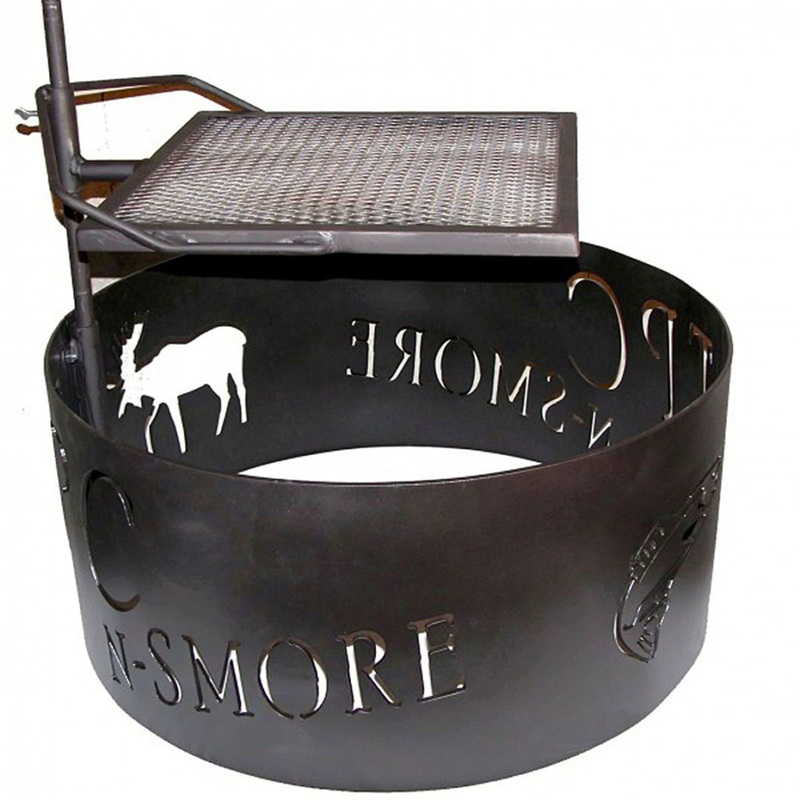 Our cooking accessories are a grill & hook that pivot away from the fire. Both of these cooking accessories can also be adjusted closer or away from the fire to adjust the exposure to the intensity of the heat. In addition, we also offer flat and domed screen options for fire spark control.